This summer, EIFF's Deputy Artistic Director Diane Henderson visited the New Horizons International Film Festival in Poland. 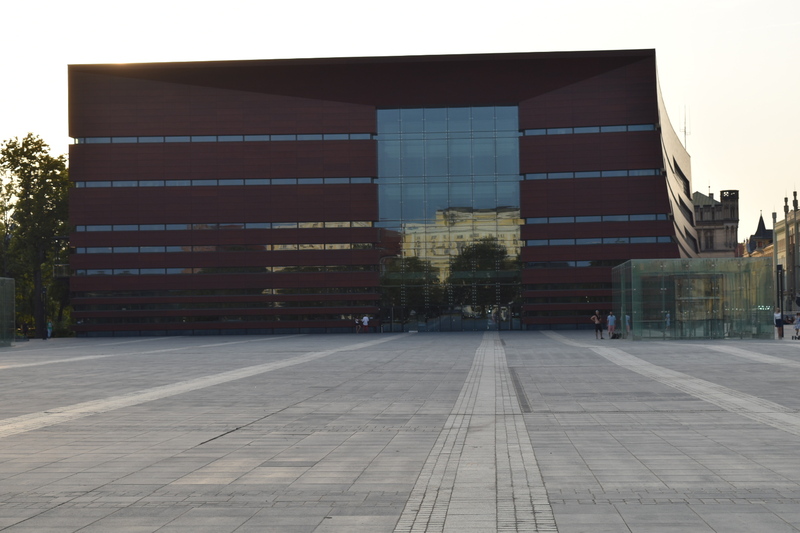 Here she tells us some highlights one of the biggest and most popular film festivals in Poland, whilst giving us an insight into the city of Wroclaw and why it should be on everyone's list of places to visit. Now in its 17th year, the t-mobile New Horizons International Film Festival continues to champion screen-based work by filmmakers and artists from all over the world. With its focus proudly fixed on the fine art of cinema, New Horizon’s programme comprises new work by visionary artists such as Joanna Kos-Krauze and Krzysztof Krauze, (The Birds Are Singing in Kigali), Valeski Grisebach (whose feature Western won the International Competition), Joshua Z. Weinstein (with EIFF favourite Menashe), as well as new films from recognised masters of cinema, a programme of films on art and retrospective work by, amongst others, Jacques Rivette and Fred Kelemen. For EIFF however, there is another reason to attend the festival - its Polish Days, hosted by the festival and the Polish Film Institute, offers an excellent opportunity for programmers, sales agents and distributors to see new Polish cinema at the earliest stages of production. During three days of closed screenings and networking events we were offered 5 brand new features, 11 pitches and 9 works-in-progress. Given that they are still at the earliest stages of production it would be wrong to say too much about the films we saw, but suffice to say that Polish cinema remains in very rude health and I’m certain we’ll see several of the projects at festivals and in distribution in the coming year. The stunning backdrop of Wroclaw lends New Horizons a welcoming and relaxed atmosphere allowing it to emerge as one of the most charming and friendliest festivals on the circuit. Located in Western Poland, Wroclaw is situated on the banks of the River Oder in the Silesian Lowlands of Central Europe. A city with a complicated history, this University hub is rich in culture and contains some of the most stunning architecture of the region. Visitors to the city can enjoy some fantastic restaurants, art galleries, concert halls and theatres, not to mention New Horizons’ own cinema – a nine screen venue where art house films are screened 365 days a year. Films including Roman Polański’s Knife in the Water, Andrzej Wajda’s Ashes and Diamonds and Agnieszka Holland’s A Lonely Woman were all shot in Wroclaw. 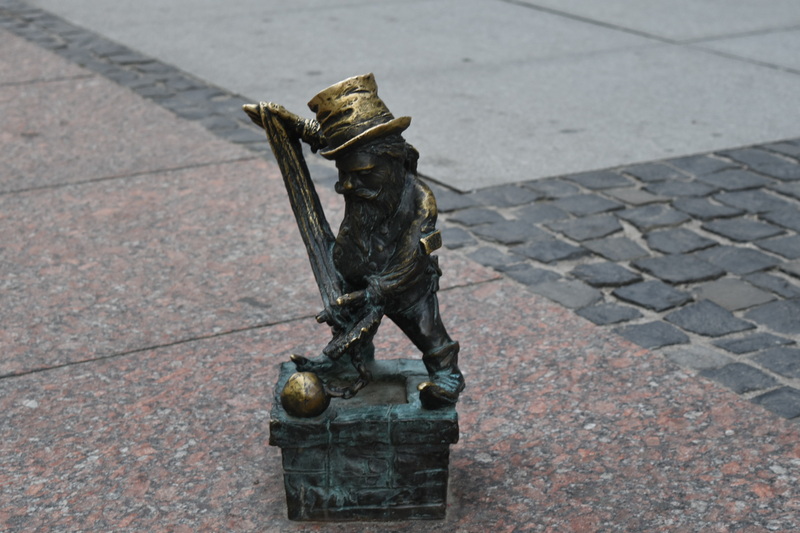 Meanwhile Wroclaw’s dwarves – a group of around 350 small figurines located throughout the city – offer visitors a fun and original way to focus their sightseeing. Having first appeared to commemorate the anti-communist movement, The Orange Alternative, these intricate, mini bronzes now have their own map identifying dwarf locations throughout Wroclaw, so if a tour of famous homes in the Hollywood Hills doesn’t rock your boat, perhaps a walking tour of Wroclaw’s dwarves might be more to your liking!